Total immersion boarder lining on inescapability, in the best way. That’s what I love about Vegas. While I romanticize what Vegas used to be like, ultimately there is a reason why this incarnation drew me towards her. It’s the same thing that drew me to Disney, total immersion. While you are within this certain area, you will be surrounded by all manor of larger than life. Allowing yourself to forget there is a real world with real problems just outside these boundaries. 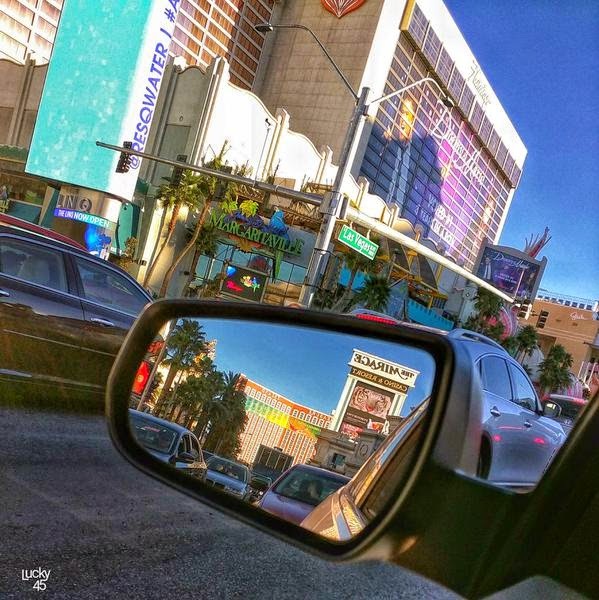 This week’s winner by @_Lucky45 illustrates that with a picture of the strip from a car captured both in the view ahead and behind using the side mirror. There is some irony to the photo in that Flamingo, the oldest property on the strip and the original to cause it to change, is the primary focus and in the driver’s future. 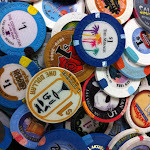 While two properties, the Mirage and Treasure Island, who can easily be credited with 2nd revolution of the strips landscape, are shown in the side mirror, behind the driver, in the past. But waxing philosophical about Vegas isn’t really my thing so I’ll leave that interpretation up to the listeners.